For my preview card I've used this sweet new set called Hedgehugs, together with the matching wreath die. I kept it very simple as, the wreath stamp is so pretty, I found I didn't want to add much to the card. 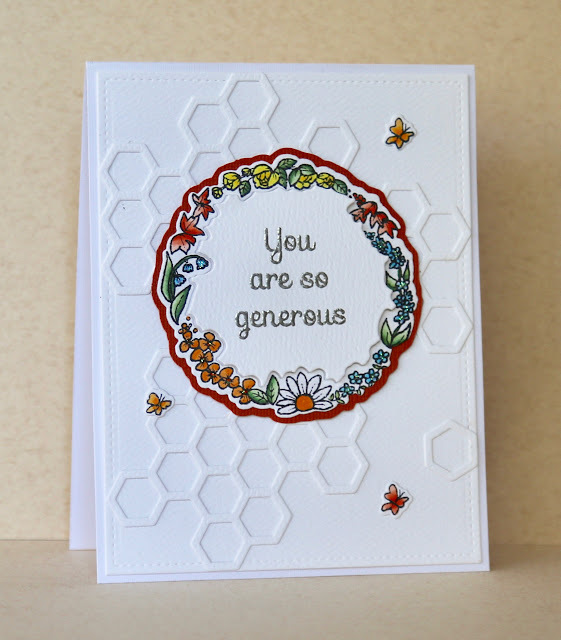 To add some texture to the background I used parts of the new Honeycomb Die and then added a sprinkle of teeny, tiny butterflies for embellishment. Pop by later for the blog hop and leave a comment and you could be in the running to win a $25.00 gift certificate from Your Next Stamp. Don't forget, the more blogs you visit, the more inspiration you'll find and the more comments you make, the better your chances to win! gorgeous card!!! 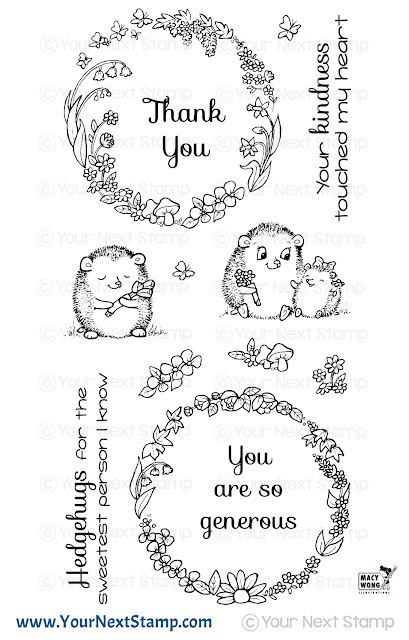 love the honey combs and the hedgehogs!! !cant wait for the release!!! Great coloring! I love the wreath perfect for a sympathy card too! What a pretty card Claire! The way you layered with the dies adds such great texture. Wonderful to have you joining us for the past few months!! !